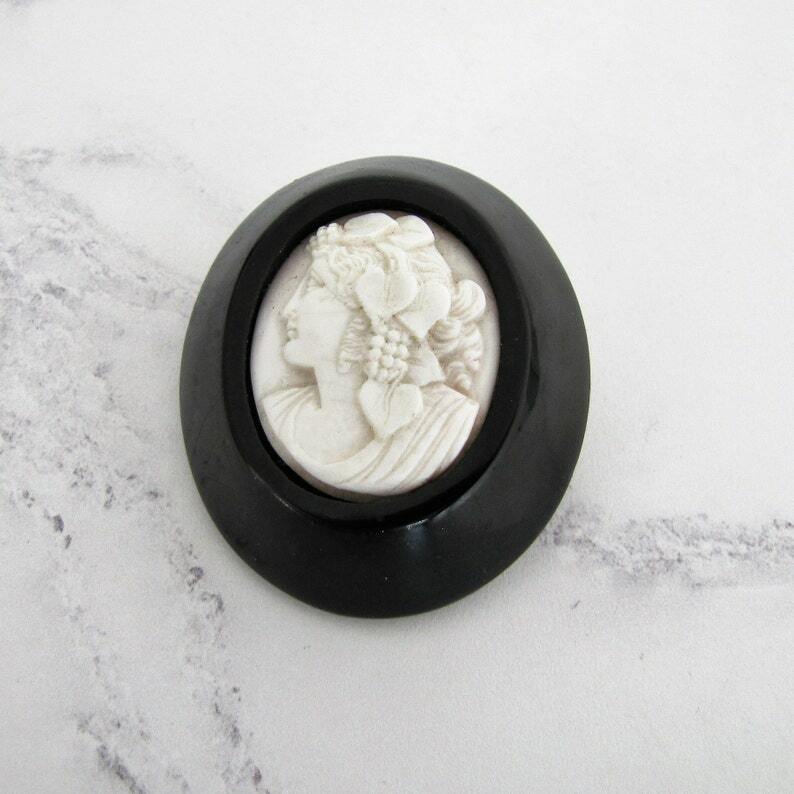 Exquisite, superb quality large size antique Whitby jet brooch featuring a beautifully carved pale pink coral cameo of Bacchante. This is an early piece composed of a very deep dome shape jet frame with the pin back set into the jet, later Victorian brooches tend to have the pin back plates glued to the jet. There is also a ring on the back for a safety chain that can be used to attach a chain or ribbon for wear as a pendant. The cameo of Bacchante is just gorgeous, she is depicted wearing heart shaped leaves in her hair. At first cameos were imported from Italy to be incorporated into Whitby jet jewelry but as the Victorian age progressed experienced carvers from Naples were invited to Whitby to teach the jet carvers their cameo carving art. SIZE: 2-1/4" high, 2" across and 1" deep (approx. 55x50x25mm). 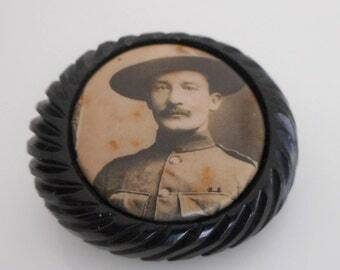 The cameo measures 35x28mm. CONDITION: Superb antique condition with no chips or cracks to the glossy black jet and the cameo in perfect condition. Any white marks on the jet is simply camera reflection. The brass pin back is heavy duty and sturdy to safely support the weight of the brooch. There would have originally been a safety chain on the back which is no longer there..
Fabulous genuine Victorian Whitby jet jewel, desirable and highly collectible! Our shop is located in the in the historic heart of the Whitby jet jewelry industry and all our jet is sourced locally. 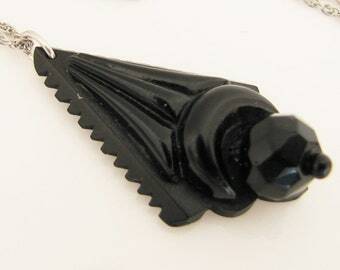 Victorian Whitby Jet Mourning Pendant Necklace. Antique Carved English Jet Door Knocker Pendant, Sterling Silver Rope Link Neck Chain.